I’ve noticed two trends over the last several years. An increase in folks interested in long distance backpacking and an increase in people caring more about what food they are putting into their bodies. It was only a matter of time until these two collided in a blast of spicy and sweet, salty and crunchy goodness. There are countless philosophies on what to eat. Most are way to complicated for me. I think we can all agree that knowing what were are putting into our bodies is extremely important. The ingredients in our food fuels our bodies. The better the fuel the better the body. I want to eat food that has a few clean ingredients and tastes great. Steve Liberati has devoted his life to creating delicious nutritious foods and giving back to the community. 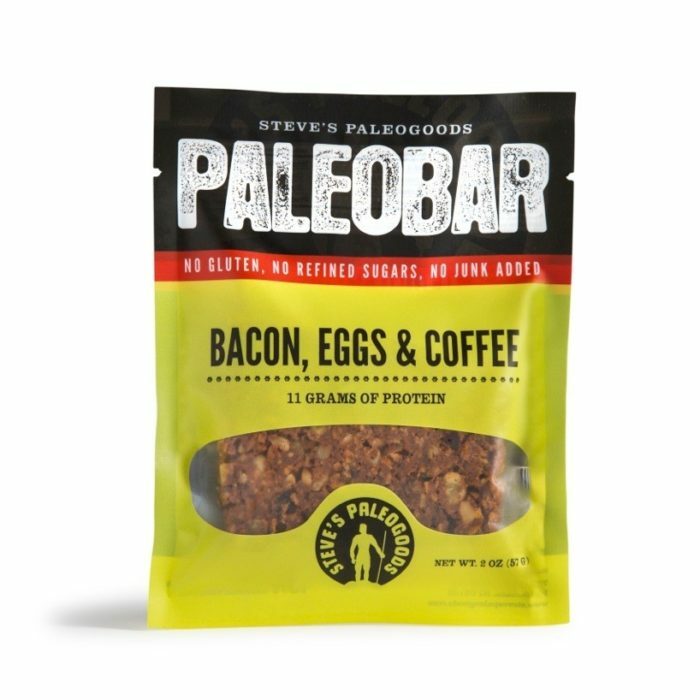 I first found Steve’s Paleo Goods while trying to find my favorite trail food, jerky. After browsing the site I sent an email and surprisingly received a response back from Steve himself. I decided to buy a few items to try them out for my Horse Shoe Trail end to end hike. I purchased several of the PaleoKrunch bars(Everything bagel, pizza, bacon egg and coffee). 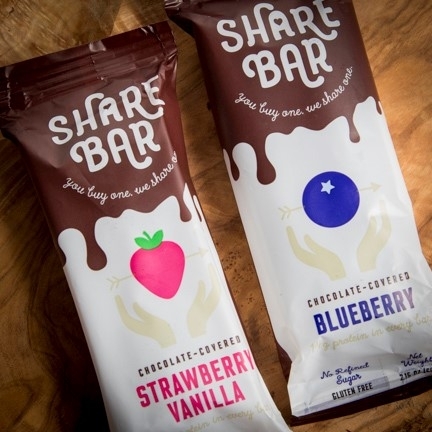 I also purchased Share bars because the flavors intrigued me. Strawberry vanilla, blueberry? Those sound like ice cream to me. I couldn’t submit the order without grabbing some jerky(Grass fed, southwest sriracha, grass fed spicy). On my AT hike I learned to appreciate the finer things in life, aka pork cracklings. So I some of grabbed those as well. What can I say, I love snacks! Even with all these items I purchased I only spent $51 and the items shipped free. The gigantic box arrived and to my surprise the box included an ice pack. The share bars in the container are recommended to be kept refrigerated. Unfortunately one of the packages had been damaged during shipping but the product was fine. The cracklings also came in the same clear plastic rigid containers. Both boxes of the share bars were gone before we knew it. They have a high coconut content which I typically am not a fan of. But the fruit flavors were incredible I didn’t even notice the coconut. It was hard to believe they were actually clean healthy snacks. It didn’t take long for me to dive into the jerky. 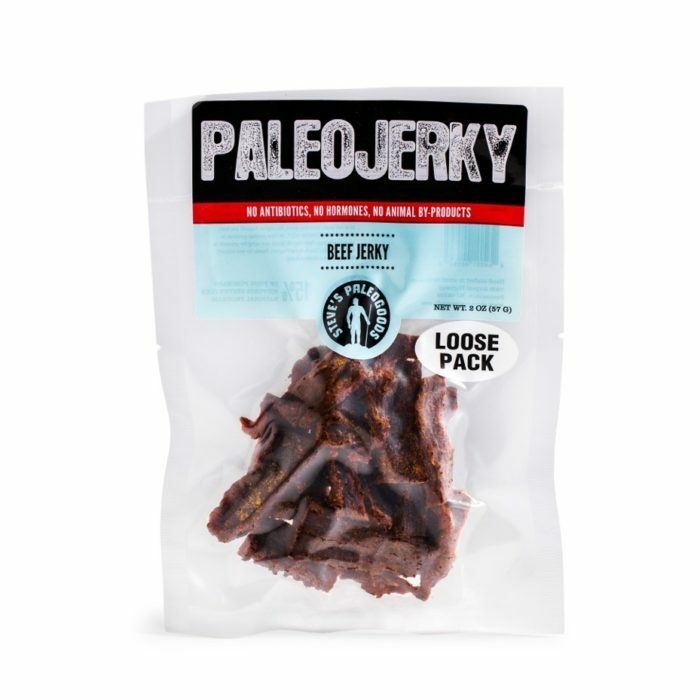 Jerky is a fickle snack. It’s has to be firm but still chew able. Steve’s process has hit the nail on the head when it came to texture. With so many varieties of flavors it’s not hard to find the right flavor for your taste buds. I was a big fan of the spicy grass fed and sriracha. The cracklings tasted great and had very few of the extremely hard pieces. The only concern being the packaging wasn’t backpack friendly. The packaging for the share bars I originally ordered weren’t the best for backpacking either. However Steve also sells the share bars in packs of 2 and 12 packs per box. They’re perfect for throwing into a resupply or backpack for a hike. re like a meal than a typical bar. Everything bagel? Check. Bacon? Check. Also, bacon, eggs and coffee? Check. Dark chocolate espresso… the list is very impressive. During my hikes I aim for 130+ calories per ounce. That seems to be the standard for long distance hikers in my experience. Steve’s bars far exceed this. The Bacon PaleoKrunch bar weighs 1.5 ounces and packs a whopping 298 calories! Needless to say I will be including a ton of SPG products in my resupply boxes for my PCT thru hike starting this April. Be sure to follow that journey on Instagram! 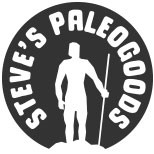 I cannot recommend checking out Steve’s Paleo Goods enough. The food is fantastic and healthy. One of my favorite things about SPG is his continued dedication to giving back. Every purchase generates a 15% donation to Steve’s Club a 501(c) 3 charity for at risk youth fitness. I have spent my lifetime chasing big rapids, mayfly hatches and whistling wings. I was the kid who grew up in the outdoors away from video games and TV. As a youth I spent time hiking the trails of PA including the AT. I was the kind of kid with the full length map of the AT on my wall growing up. I finally took control of my life and thru hiked the AT in 2016. It opened up my eyes to so many new and exciting things and helped me to develop a better understanding of the world, and more importantly, myself.